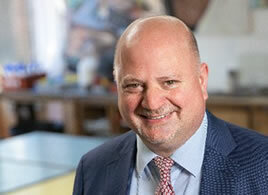 Stamford Endowed Schools win second Oswald Elliott Cup - The BSA Guide - looking for a UK boarding school? : The BSA Guide – looking for a UK boarding school? After a successful inaugural debating event held last year at Stamford School, the second Oswald Elliott Cup debate took place in November 2017, hosted by Fitzwilliam College, Cambridge and introduced by the Master of the College, Nicola Padfield. 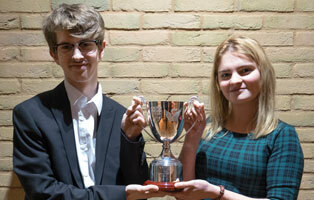 A team of Year 13 pupils from Stamford Endowed Schools, Daniel White and Daisy Jowers, retained the hotly contested Oswald Elliott Cup in their debate against a team of undergraduates from Fitzwilliam College. The motion was: ‘This House believes that free speech should never be restricted’. The debate was preceded by a special lecture from Claire Fox, Head of the Institute for Ideas and a regular panellist on Radio 4’s The Moral Maze, on the importance of free speech and the right to be offensive. In a climate where young people are branded ‘the Snowflake Generation’ and universities are plagued by trigger warnings, safe spaces and no-platforming, Claire argued for open, vigorous debate, warning that safety does not encourage freedom or intellectual enquiry. The historic links between the Stamford Endowed Schools and Fitzwilliam College, Cambridge were re-established in 2016 to commemorate the centenary of the death of Oswald Elliott, former Head Boy of Stamford School and alumnus of Fitzwilliam College. Elliott was a keen debater while he was at Fitzwilliam College and he died in the trenches of World War 1 in 1916. This year, the Oswald Elliott Cup enabled more than 100 Stamford pupils, joined by parents and staff, to glean invaluable inside knowledge of life at Fitzwilliam College.